The picturesque island of Sardinia is situated just to the south of Corsica and is one of the largest islands in the Mediterranean Sea. The year round sunshine and abundant sandy beaches make this the ideal destination for lovers of luxury camping who want to spend a week or two soaking up the sun and the island boasts a number of impressive LUX-camps to choose from. Why Should Visitors Choose a Camping Holiday in Sardinia? Visitors who book a mobile home in Sardinia will find that they are never far from the golden sand of the nation’s beautiful beaches. 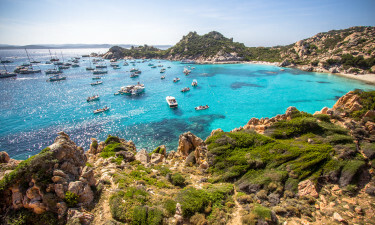 Many of the leading luxury camping sites in Sardinia offer guests private beach access, while they also make excellent bases for exploring all that the country has to offer. Situated on the west coast of Sardinia, this large and luxurious site provides a vibrant village that is packed with entertainment options. In addition to spending time on the nearby beach, guests will love making use of the facilities at Bella Sardinia. Set in a pretty pine forest on the edge of a gorgeous sandy beach, this is one of the most luxurious camping sites on the whole of Sardinia. Guests who enjoy water sports will be able to rent surfboards and canoes here, while the site also boasts a large miniature golf course. Situated on the sunny Costa Rei, this leading LUX-camp is the perfect place to unwind in style. Those who simply want to relax and soak up the sun will find plenty of space to spread out on the picturesque sandy beach, while the site offers an excellent range of sports activities such as angling, tennis and volleyball. 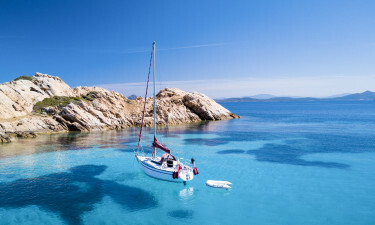 Sun worshippers will really be spoilt for choice when they visit Sardinia and the Costa Smeralda boasts some of the island’s most glamorous beaches. Costa Verde features pristine beaches surrounded by wild natural beauty, while Isola dei Gabbiana is a real have for kitesurfers and windsurfers. The medieval town of Alghero features a number of historical monuments, many of which can be found scattered around the Palazzo d’Albis. 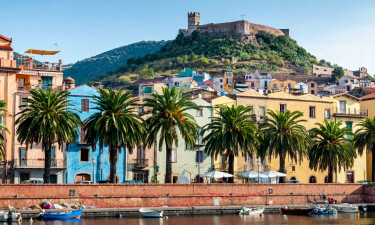 Nearby Neptune's Grotto makes an enchanting daytrip destination, while the capital city of Cagliari also features a large number of historical attractions. 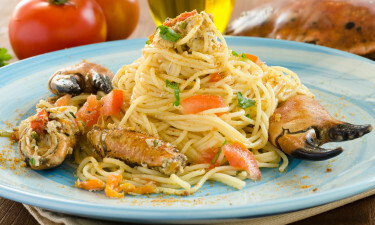 Sardinia specialises in traditional pizza and pasta dishes prepared with a local twist. This is a great place to sample Mediterranean seafood, which is always exceptionally fresh and tasty, while the island specialises in several types of sausages and pastries as well as Pecorino cheese, which is made from sheep’s milk.